To make sure that you have solid foundations for your project. After working with me, you will have a clear project definition in hand. Developing a solid definition, also called scope of your project is like the foundation of a house the basis of success. Without putting effort in this your project is not very likely to succeed. Success in a project means, reaching your goal on time, on budget and providing exactly the product or service you or your customer had in mind. And that is what you want, isn’t it? The problem is often that the person who is setting up a project is missing some knowledge, has some blind spots or is missing the tools to really set up a solid foundation. As an experienced and certified project manager I can help with that. What is it exactly what you get when booking the Project Definition Module. A precise and solid description of the project scope. The scope of a project describes exactly what is included in the project and what is not. The latter being as important as the first. What does that mean? It means, describing exactly what you want to achieve and why, who are the people you want to do this for (this can also be you), what is the timing, what is the estimated budget. A SWOT analysis which will show where are the strengths, weaknesses, threats and opportunities with regards to this project. These are the important topics that you need to keep an eye on and that you need to address when developing the list of your project tasks. The training on the job, the know-how and the tools, so that you can do the project definition all by yourself next time. Please keep in mind that this is your project and you know all the details and have the knowledge of your area of expertise. I will guide you through the process, answer all your questions, provide you with the tools and ask the right questions to help you find good answers. You will need to do the work to achieve the results. If you need more help or would like to have your project set up including the tools and methods allowing you to steer your project until the goal is reached, than chose our best value package ‘Full Project Setup Module‘. After working with me, you will have a clear definition of your project in hand. As soon as you click on the ‘book now’ button, you will be sent to our PayPal page where you complete your payment either with your PayPal account or with your credit card. Then, you’ll be sent back to this website, to a page where you’ll find further instructions. In case this process struggles somewhere, please send me an e-mail. What will we talk about in the free introductory conversation? First, Christian and you will get to know each other. He will ask you a few questions to identify what your project is about, which skills you already have, what the state of your project is and how he can help you best. If I book a package, will I have to do work to obtain the result? Yes, absolutely. Christian will explain in detail how to do the different steps and ask the questions that you need to find answers to, but it is you who must do the work, collect the information and formulate for example the project definition and plan the tasks. This is vital, because the project is and will remain your baby and you will need to take good care of it. Will I need to pay for the tools that are used to steer my project? No, in the Cactus Competence Project Management System, it is not necessary to use any paid tools. Depending on your personal preference, Christian will propose tools and methods that will work best for you. You are a paper guy? Perfect, then let’s work on paper with post-its, etc. You are a cloud girl? That’s also perfect, then let’s use Trello and Google sheets. Everything is possible, and everything needed will be free. If you already have a tool of your choice for certain tasks, that’s also OK and we will work with this. In what language can I communicate with Christian? All modules and Skype sessions as well as the e-mail support can be conducted in English, German or French. All communication in our Facebook group will be in English to guarantee the understanding of all group members. When exactly the Skype sessions for the modules and the rescue kit will take place? Christian is ready to be as flexible as possible to fit in with your schedule. We recommend planning one session per week so that we can really move forward through the module. Can I book the coachings for my team too? You may also book these coaching to the benefit of your team members. Please send us an e-mail to info@cactus-competence with the number of team members and the coaching you wish to do. We'll come back to you with a customised proposal. All above mentioned prices are net prices plus 20% VAT. You may book with one click and pay directly with your credit card or per PayPal, or you send us an email to info@cactus-competence.com and we send you an invoice. If you have a company, the European Reverse Charge Procedure is possible. Can I pay by instalment too? Sure, for the rescue kit instalment is possible. Send us an e-mail to info@cactus-competence with your instalment wishes and we will check whether this is feasible. Please keep in mind that each booked Skype session must have been paid in advance and your payment must be in our accounts the day prior to the agreed appointment. So, the instalment might slow down the process. What are the alternatives to work with Christian? You may book Christian to speak. For more important projects, you may hire him as on-site consultant or as interim project manager for direct implementation. 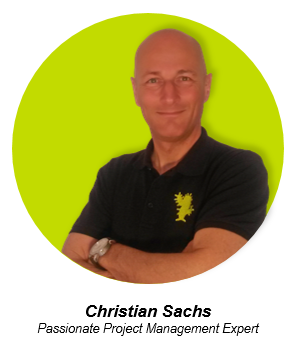 Please note, Christian speaks English, German and French and can bring a real profit to multicultural teams and projects. If you are interested, please send your request to info@cactus-competence.com. Is there still a question we didn't answer yet? Please send us an e-mail to info@cactus-competence.